Will definitely keep Lone Star in mind. Thank you! M and F Western Product Men's Standard Belt in Brown Bonded Leather with Braided Construction from the Hired Hand Collection featuring current styling and durability. M&F Western Products is a worldwide manufacturer and distributor of western accessories. Being family owned since 1969, M&F Western Products has built its reputation on fast, consistent shipping of quality western accessories for over 30 years. 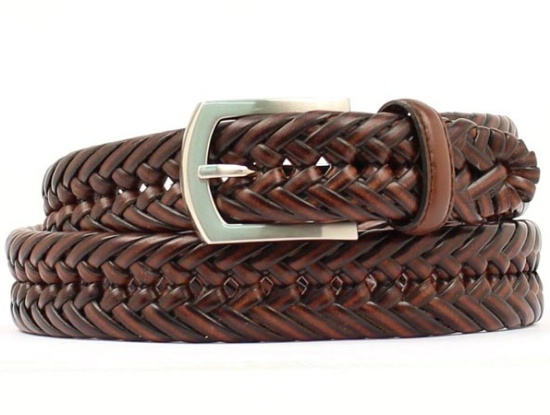 M and F Western Product Men's Standard Belt in Brown Bonded Leather with Braided Construction from the Hired Hand Collection featuring current styling and durability.